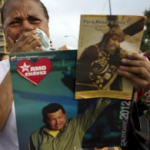 From Mediaite: In world news today, Venezuelan leader Hugo Chavez has passed away. Mediaite’s Noah Rothman reports on one eulogy of him: “The progressive publication The Nation published an obituary for the late Venezuelan President Hugo Chavez on Wednesday in which the author took the contrarian viewpoint that Chavez’s dictatorial rule was “not authoritarian enough.” In the piece, author Greg Grandin, a professor at New York University, takes a stab at why Chavez was so disliked by the U.S. government and dissects his legacy. Grandin examines the left’s disillusionment with Chavez and laments that the Latin American strongman was not the autocrat his opponents made him out to be.” Read on here. 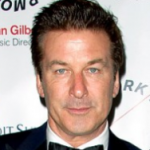 From Gossip Cop: The LaBeouf/Baldwin feud continues, reports Gossip Cop: “Shia LaBeouf and Alec Baldwin’s personal drama just heated up again — with the younger actor going public with NEW emails slamming his ex-Orphans cast mate. To recap: LaBeouf abruptly left the Broadway production two weeks ago amid behind-the-scenes problems, then posted private correspondence from Baldwin and their director Dan Sullivan on Twitter, drawing Baldwin’s ire. On Tuesday, Vulture asked Baldwin about LaBeouf’s comment that “the theater belongs not to the great but to the brash,” which led the older actor to diss LaBeouf and his theatrical credentials, comparing the Transformers star to a “celebrity chef” who doesn’t take his craft seriously. LaBeouf struck back early Wednesday.” Find out what happened here. From Geekosystem: 101 years ago today was a very important day. Why? Geekosystem answers, “In the distant future, when alien archaeologists dig through Earth’s sediment and uncover traces of our glorious existence, they will inevitably unearth our most iconic product. They shall find the Oreo, the ubiquitous “chocolate sandwich cookies,” which was introduced on this day in 1912 by the National Biscuit Company (aka Nabisco). 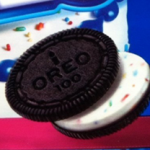 That’s right, Oreos are 101 years old… The Oreo cookie has a long and storied history. First it was the Oreo Biscuit, then the Oreo Sandwich, then the Oreo Creme Sandwich, then the Oreo Chocolate Sandwich Cookie. Over the years, it’s seen innovations and architectural biscuitry like you wouldn’t believe.” Read about them here. From Styleite: Capitol Couture is back in our lives, writes Styleite: “The second installation of The Hunger Games trilogy, Catching Fire, doesn’t open in theaters until November, but to hype it up, Capitol Couture has returned with several portrait shots of Katniss Everdeen, Effie Trinket, and more. The Capitol Couture Tumblr blog started last year, and was a marketing scheme drummed up by the team at Lionsgate — and it worked. Lionsgate is doing the same for Catching Fire, and the first promo shots of Katniss and Effie’s Capitol portraits are here.The sharp eyes at the Daily Telegraph suspect that Katniss’ frothy gown is custom Sarah Burton forAlexander McQueen, while Trinket’s ensemble is definitely a McQueen look from the fall 2012 collection.” See the look here. From SportsGrid: Who doesn’t like being Number One? Indiana, apparently. 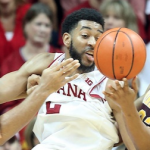 SportsGrid explains: “Three times this season, the Indiana Hoosiers have been the No. 1 team. Three times this season, the Indiana Hoosiers have lost to unranked teams to relinquish that title. Although Ohio State was ranked 14th and Indiana No. 2, the Buckeyes still handled the Hoosiers in Bloomington. They held Victor Oladipo to seven points on six shots and the entire team to 39.6% shooting from the field. Come Big Ten Tournament time, Indiana will have plenty of time to make up for lost ground; they’ll have to work their way through multiple ranked teams, and could easily re-earn themselves a No. 1 seed.” Read more here. From The Mary Sue: Community‘s fourth season has been met with mixed reviews. Now, the show is revealing an upcoming special episode: writes The Mary Sue’s Susana Polo, “Community‘s fourth season ratings have not been the greatest. In fact, the Halloween episode grabbed the lowest ratings the show has ever had. And while I wouldn’t preface this statement with ‘in response,’ this is not a situation in which I’d fault the folks who run Community these days for bringing out the big guns: All. Puppet. Episode. In case you haven’t been any where near the internet in a while, Community is no stranger to the mixed media approach, with episodes featuring stop-motion animation, 8-bit style video game imagery, and even a ping pong tournament in anime style. 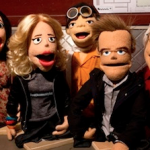 Frankly, it’s shocking the all-puppet episode hasn’t come up before. The episode’s conceit was revealed during theCommunity panel at PaleyFest.” Read on here. 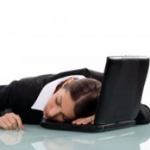 From The Jane Dough: It’s hard out there for a twenty-something. The Jane Dough explains: “Fueled by coffee, the Scarface soundtrack, and his/her own aspirations, the average 20-something is abandoning the concept of work-life balance in favor of ‘getting ahead.’ Whether it be for an unpaid internship or an underpaid entry level job, young adults are facing expanding work hours and an increasing volume of work with little wiggle room to say “no.” Apparently, the new normal is a never-ending grind. Sunday’s New York Times features a piece exploring the phenomenon of the “no-limits job,” interviewing four women in creative industries (or what the article refers to as “rock-star professions” — film, TV, publishing, and media) who work long hours for little or no pay.” Read more about it here. 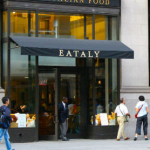 From The Braiser: There’s trouble in Eataly paradise. The Braiser reports, “A Massachusetts tourist named Fabio de Oliveira, who also happens to be a restaurateur, sat down at La Pizza & Pasta inside Mario Batali and Joe Bastianich’s gargantuan Italian megastore earlier this year, and was apparently forever orally disfigured. His order of linguine and seafood came topped with unnoticed shards of broken glass which he bit down on, resulting cuts that required stitches and may have caused damage to his sense of taste and ability to speak. Bummer. ‘There was a lot of blood coming out of my mouth,’ he told The New York Post. Here’s where it gets fishy: he didn’t alert the restaurant staff to the issue until 20 minutes after he had paid the check with a 20% tip and left. He then came back and was taken to the hospital. De Oliveira is suing for unspecified damages.” Read on here.